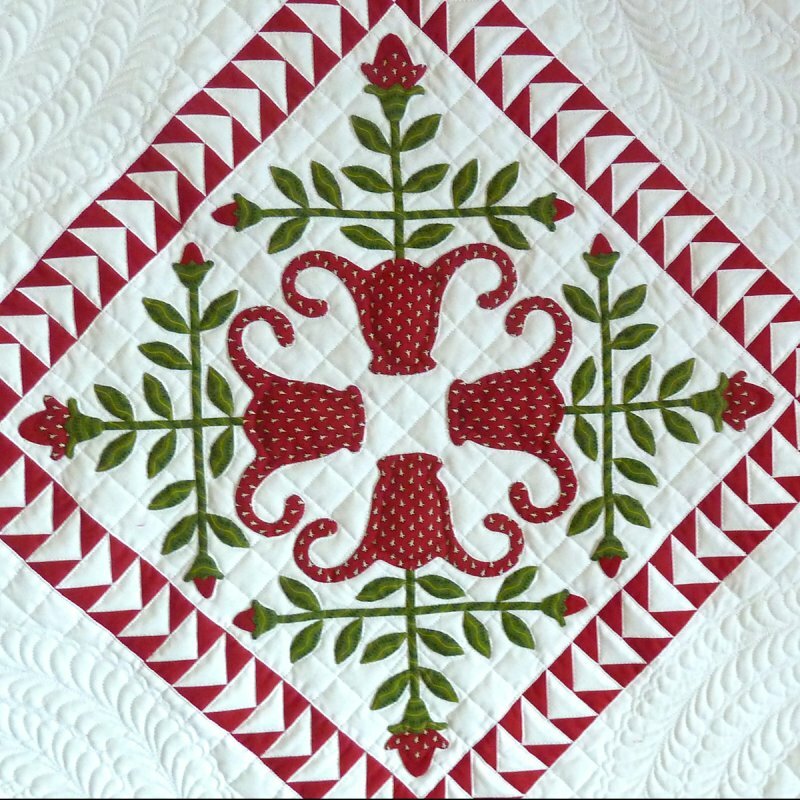 Sue Garman's Simply Baltimore (90 x 90") is elegant in its simplicity! 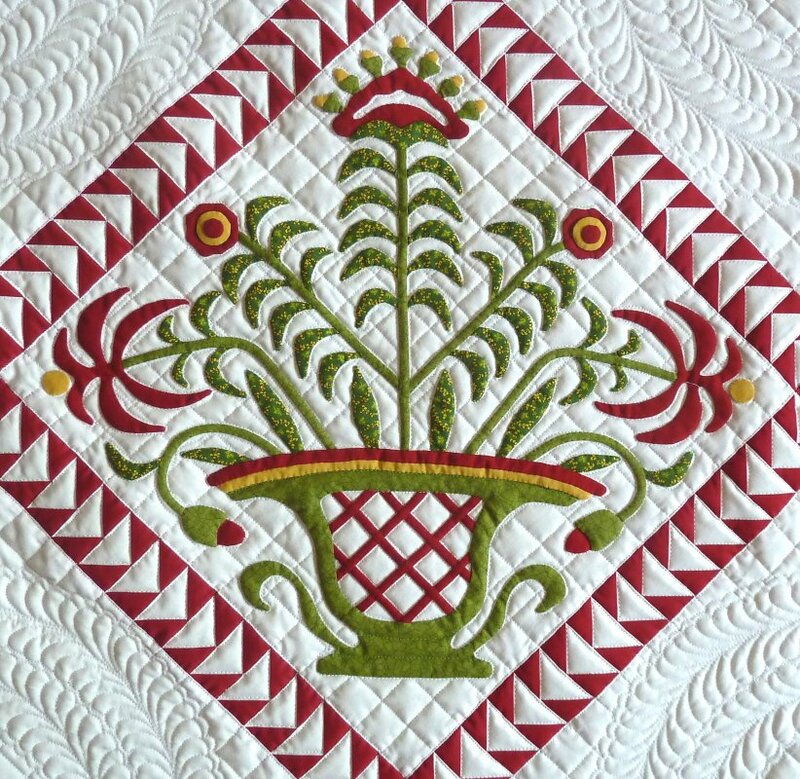 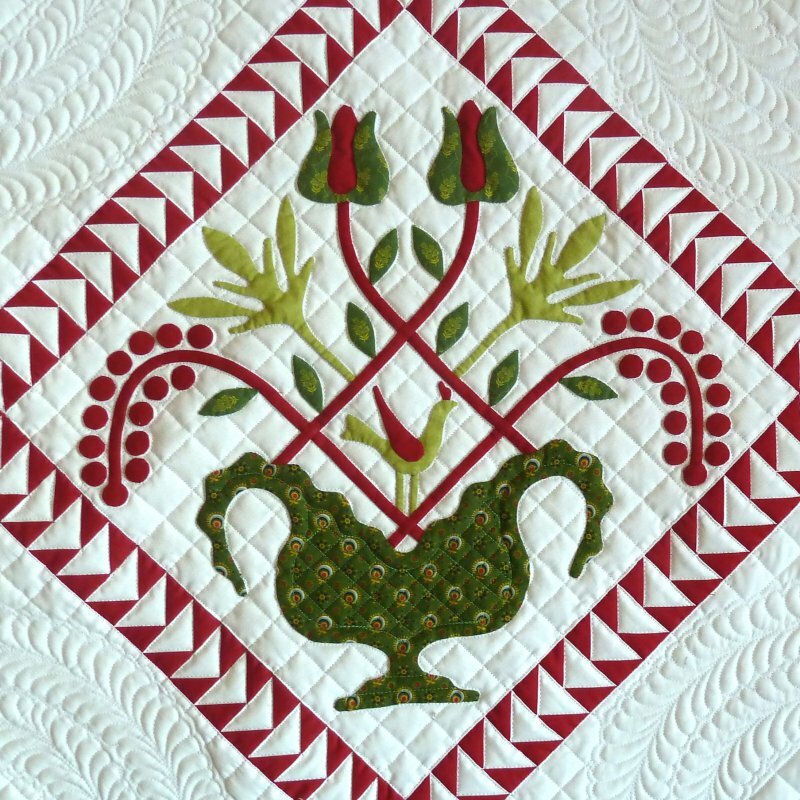 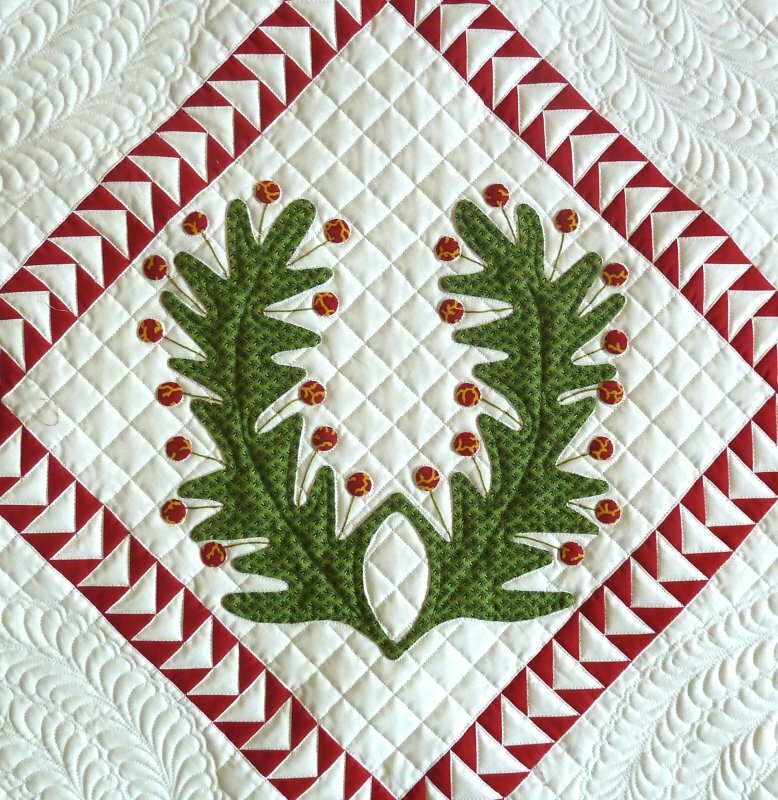 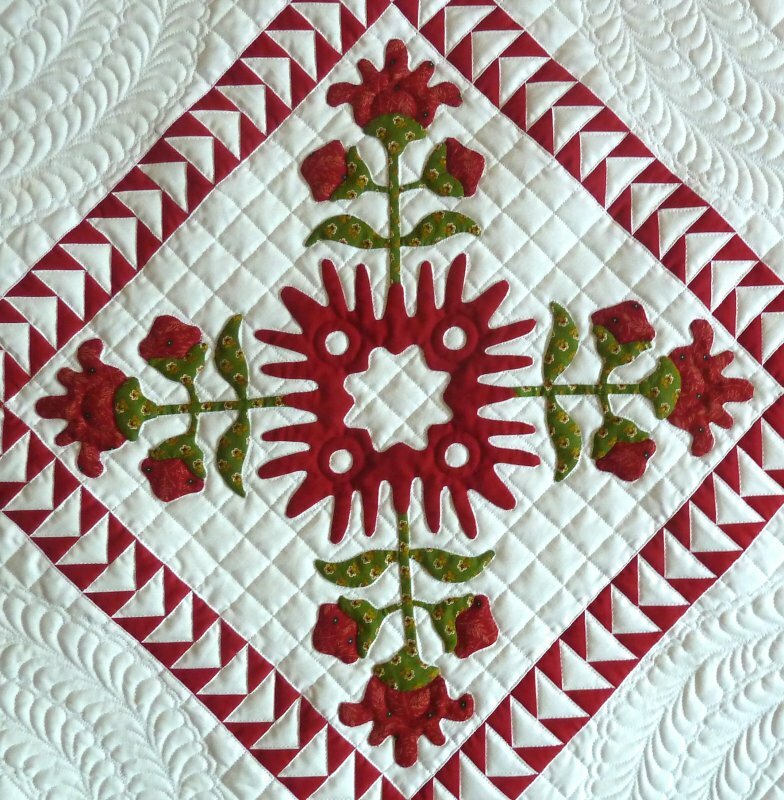 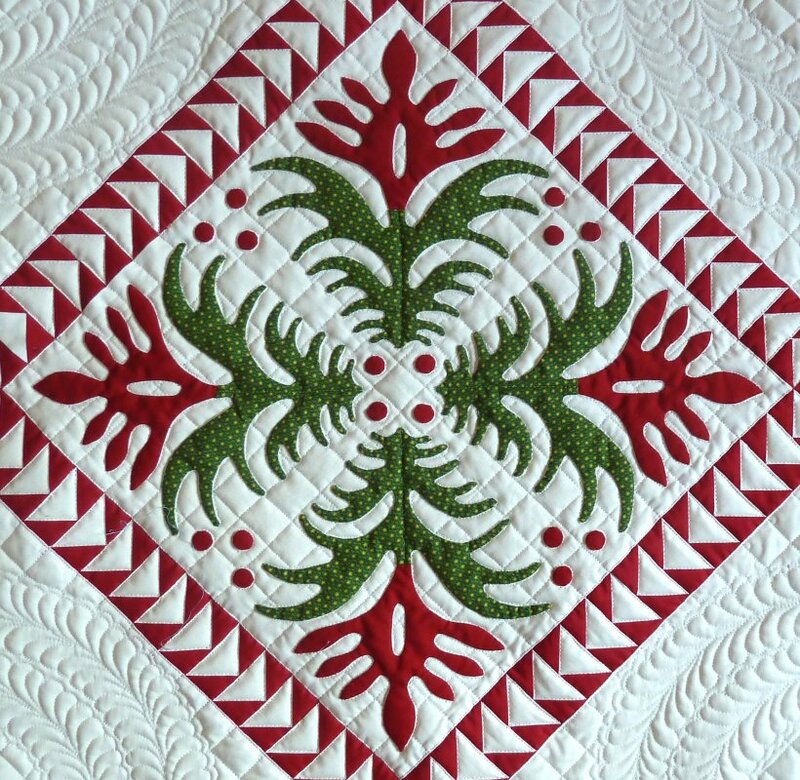 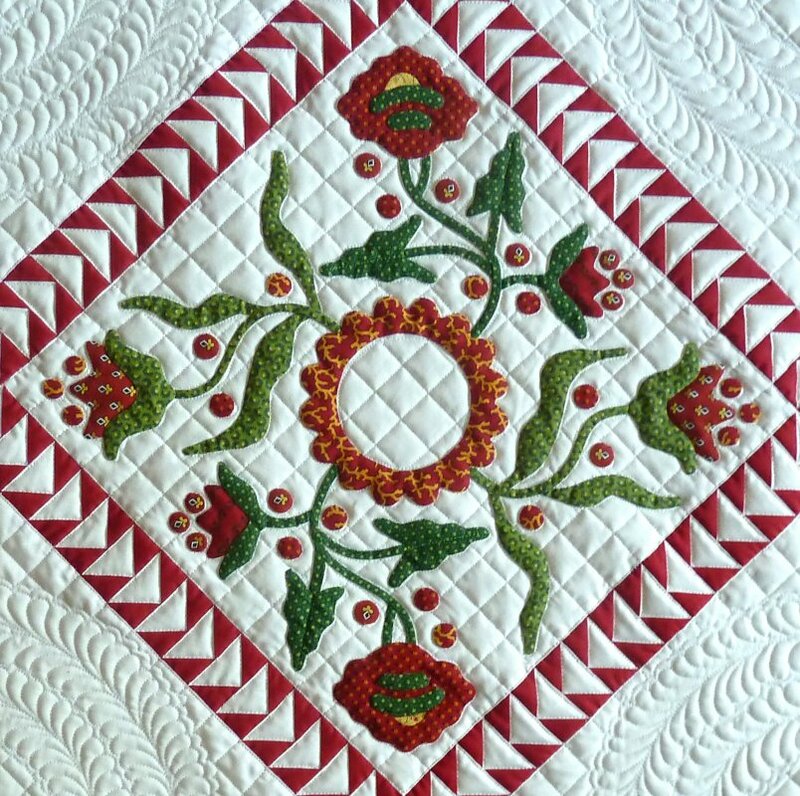 The quilt has nine on-point blocks set amidst a field of flying geese sashings and borders. 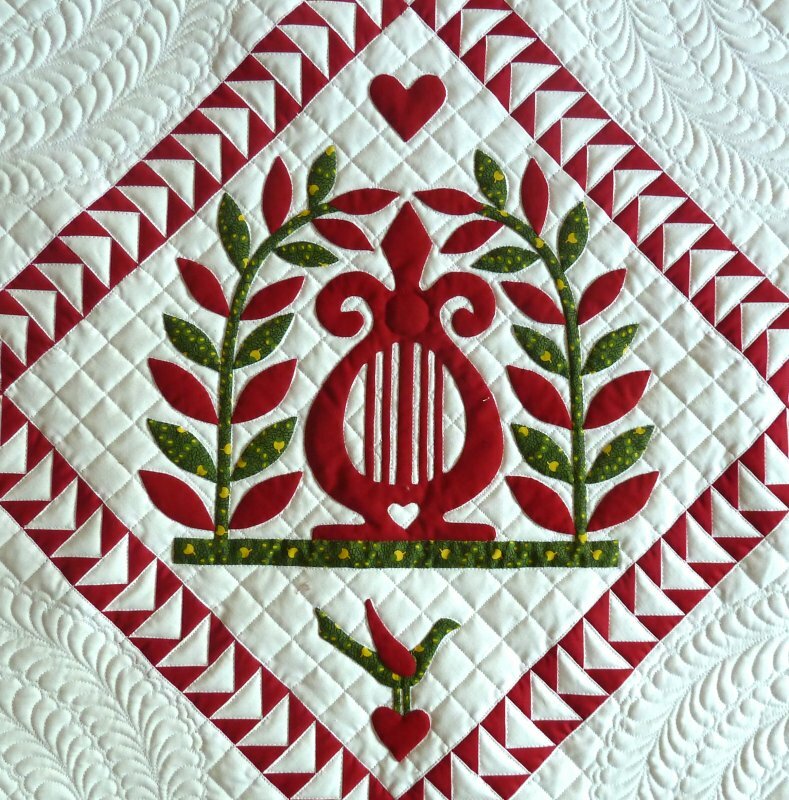 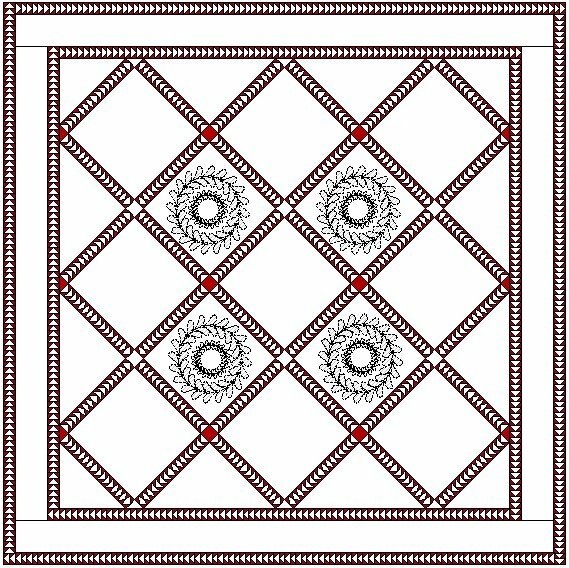 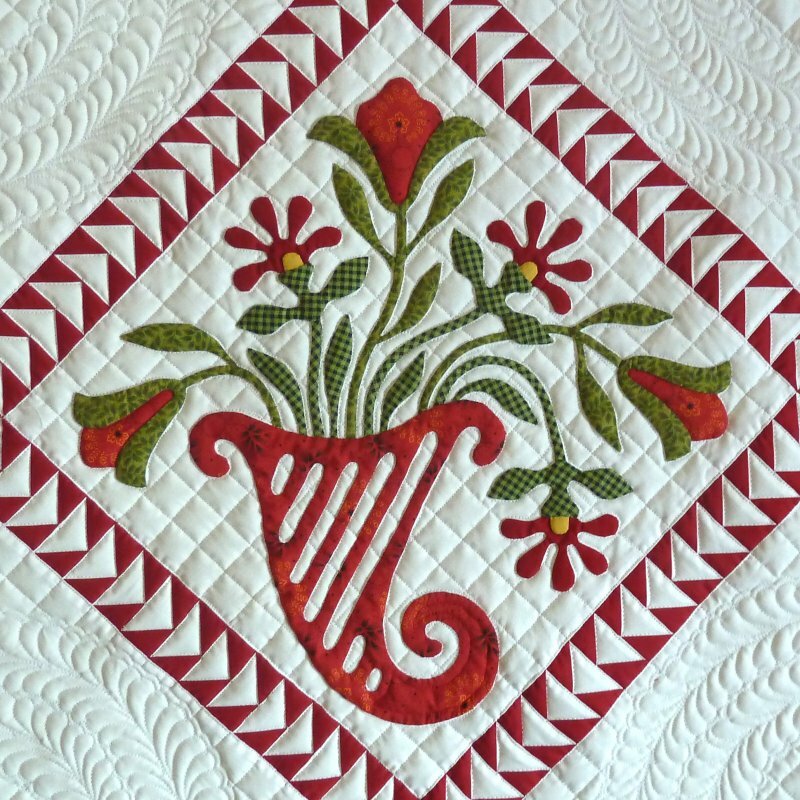 Each 15-inch block (finished size) is easy for quilt makers with any level of experience to applique. 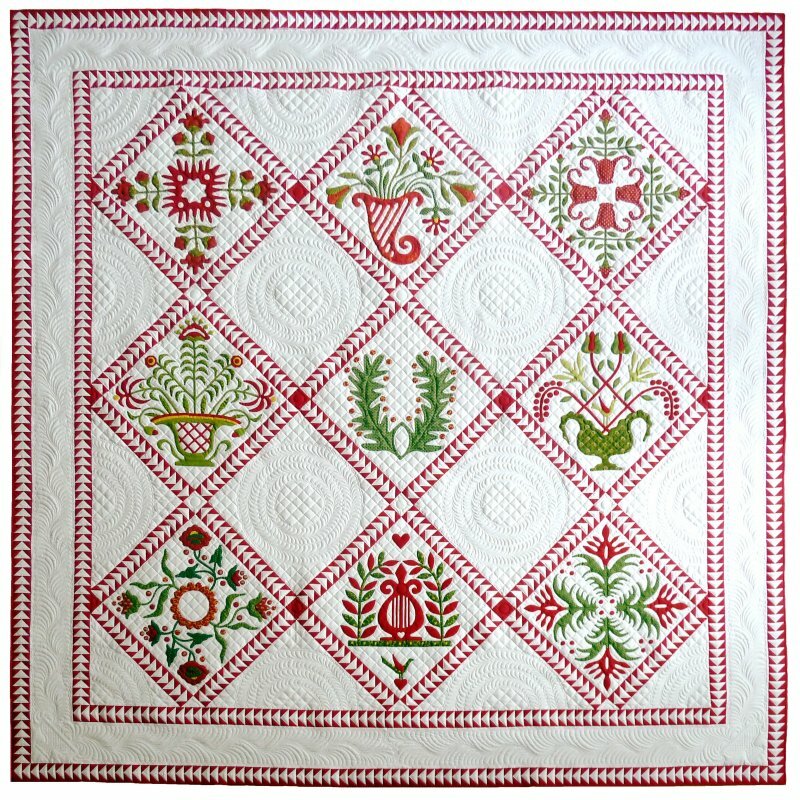 With a minimum number of fabrics in each block, fabric choice is similarly easy for everyone.